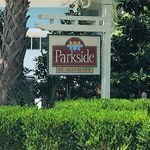 Parkside at Mayfaire is a wonderful community located behind the Mayfaire Town Center shopping complex off Military Cutoff Road in Wilmington, North Carolina. Its quiet streets and closeness to the complex give it a unique small town feeling. Residents can walk to a movie, the grocery store, the gym, or to grab a cup of coffee, and pass friends along the way. This is a community where the neighbors know each other and home owners need only to step out their door to socialize. 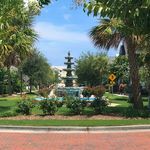 The community is also located a short drive or bike to Wrightsville Beach. 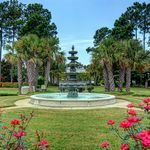 Families can enjoy a day in the sand as frequently as they like, or make a slightly longer trip to Historic Downtown Wilmington to take in the other sights that make our small city great. 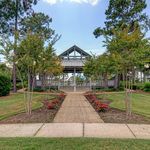 Divided into 106 home sites, Parkside features a public park, a fountain, two ponds, tree-lined streets, sidewalks, and upscale homes. 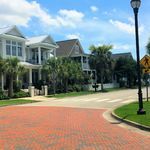 Floor plans include Charleston Style homes with second floor balconies, Southern Living designs with early-American details, and Low Country homes with large front porches. 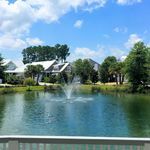 Plus, exquisite details like granite countertops, traditional molding, oversized windows, built-in appliances, spacious rooms, and more. Each home has it own little treasure that makes it unique. You’re sure to be pleased.